Window treatments add refinement and style to otherwise dull, boring windows. Shutters and awnings decorate the outside of your house, while blinds, shades, cornices, trim and draperies enhance the inside appeal. 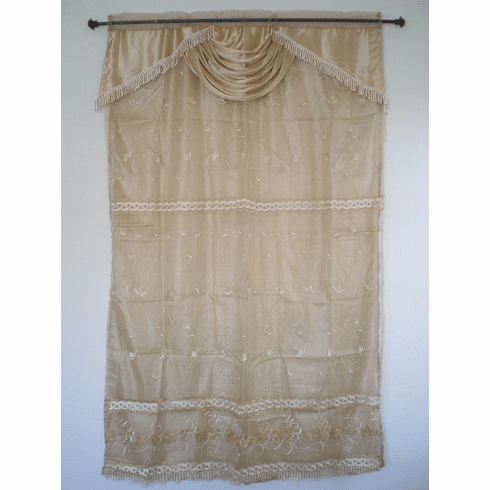 This is very nice high quality sheer material embrodiery window curtain / panel / drape with attached balance and sheer lining.